What is SEO? That’s a phrase which is searched over 8,000 times per month in the US. It’s profitable, it can be difficult, it’s a bit mysterious and it’s one of the specialties of The Bird Marketing. So what is SEO exactly? Wikipedia defines SEO as “The process of affecting the visibility of a website or a web page in a search engine’s ‘natural’ or un-paid (‘organic’) search results.” Let’s get that explained even further. Answering the question: What is SEO? Studies conducted by companies such as Chitika, Optify and AOL show that websites at the top of Google are clicked on more than others. In this blog post at moz.com, you can see some of those statistics. The most recent statistic (2014) shows that 31.24% of the clicks on Google go to whoever is at the very top. That’s 3 out of every 10 people! If you’re a dentist in Dallas at the top of Google, you would be getting hundreds of people to your website (possibly even thousands). Joe has a dental practice in Denver. Bob also has a dental practice in Denver, and he’s just across the street from Joe. Joe spends hundreds of dollars by putting ads in the newspaper, he rents a billboard, he has a radio ad, and he pays for some internet ads too. These are all known as “out-bound marketing”. Each of these methods of marketing will push a message out to people, even if those people don’t want to receive that message. It’s been around for years and years and it’s worked. Bob does not use much advertising. Instead, he pays for SEO. His SEO company gets him to the top of Google for the search phrases “Denver Dentist” and “Dentist Denver”. Bob knows that 260 people a month are typing in the first phrase in Google, and 390 are typing in the second phrase. That’s 650 people a month. He also knows that if the statistics are wrong, and he only gets 20% of the clicks, that’s still 130 people going to his website that are looking for a dentist. And if he only gets 20% of those people in the door, that’s still 26 people a month. The good news is that his SEO company won’t stop there. They’re going to try to get him at the top of Google for “veneers” and “tooth ache” and “Dentist reviews” and “dentist in Denver” and “Best dentist in Denver” etc. etc. There’s actually thousands of searches every month for dentists and dental services in Denver. With that being said, SEO is known by marketers to offer one of the highest return on investments for clients. As you can see, it takes a lote more than just finding a web designer on Yelp to get people to start calling you. So does that answer everything about the question “what is SEO?” There’s still a little more that you should know. What Phrases are Important in SEO? Believe it or not, a common statement I hear is “I don’t think I need SEO. I’m already at the top of Google”. That statement is a little dull… If I create a website called erickracedoisthebest.com and I conduct a Google search for “Erick Racedo is the Best”, of course I will be at the top of Google! There’s no competition for that search phrase! I am the only person on the internet who uses that phrase, and the only person on the internet that has a website address that uses my name. So when you say “I’m at the top of Google” it’s also important to know what you’re at the top of Google for. If you’re a dentist, you might want to be at the top of Google for the phrase “Dentist in _(city)_”. There are tools available that help people determine the search volume of specific phrases. One of these tools is Google Keyword Planner. In the first example, the searcher is likely looking for a job. If you’re a dentist in Chicago who is looking for patients, it wouldn’t make sense to be at the top of Google for this search phrase. In the second example, the searcher’s intention might be to find out more information about how to keep your mouth clean. Maybe it’s a kid doing a science project, maybe it’s someone looking for a dentist, maybe it’s someone who is researching for a blog post. It’s a pretty vague search phrase and it isn’t totally clear as to what the intention is. From our viewpoint at The Bird Marketing, we aren’t likely to put a lot of work and effort to be at the top of Google for this phrase. Next we have the phrase “Dentist in Chicago”. Are the searchers looking for a school? Probably not. How about information about dentists? This is also not very likely. More than likely the person who is searching this phrase is looking for a dental practice so that they can see a dentist. I also threw in one last phrase which is “Chicago Dentist that makes you feel safe”. The cool thing about phrases like this is that it’s very clear what the searcher’s intent is. This person is really looking for something specific. When you start getting into really specific phrases like this, you tend to find less search volume but also less competition. Almost every dentist in Nashville is going to be competing for the phrase “Nashville Dentist”. There’s probably no competition for the phrase “best painless dentist in Nashville” (please note that there might also not be much volume of searches for that phrase, but for examples sake, let’s say that there is more than 10 searches a month for that phrase). 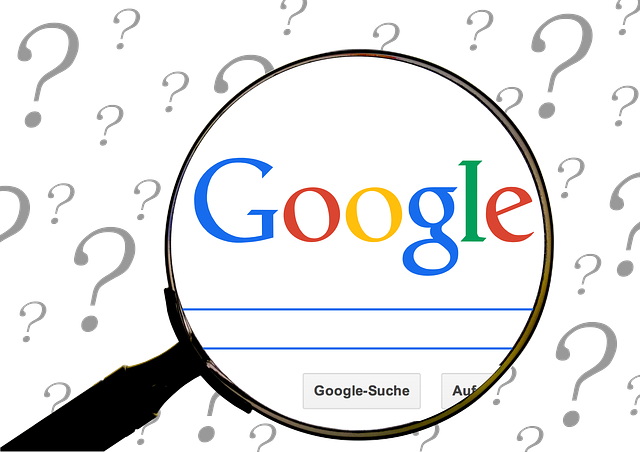 Answered Question: What is SEO… Now what? A great analogy is to say that the internet is like a library and Google is like the index cards for the library. If you’re looking for a book, you can search the index cards for that book. Google is much more advanced than a library indexing system, but the concept is somewhat similar. But how do you get to the top of Google? If only it were that easy. Google looks at several factors by which they determine the “rank” of a website. Why does Bob’s Barber Shop show up just below Bill’s Barber Shop in the Google search results? Well that’s the big question, and it’s one that doesn’t have much of an answer. Google doesn’t want you to know the determining factors for getting to the top of their search engine results page. They’ve given us some clues and information, but they haven’t given us the exact steps. SEO companies such as The Bird Marketing refer to resources such as Moz.com and Hubspot.com for the latest strategies for getting to the top of Google. They conduct research and surveys to help SEO companies figure out what’s working and what isn’t. Across the internet there are also SEO bloggers that will tell you what the latest Google update did to their website, or their clients’ websites. Getting into SEO can be a daunting task with all the information across the internet. You have to consider if the website you’re looking at offers good information or if it’s false. You also have to pay attention to how old the information is (because Google frequently releases updates which might make the latest SEO strategy turn into old news over night). One thing that has remained consistent is that your website pages should be focused around a particular topic and contain the phrases that you want to be at the top of Google for (e.g. “Nashville dentist”, “Los Angeles Pet Shop” etc.). Another fairly consistent aspect of SEO is that you should get other websites to link to you (although this particular area of SEO has some warnings and we do not recommend you take this statement to mean you should go out and get as many links as possible from any and all sources). Anybody who wants website traffic should have an SEO strategy. It doesn’t mean that everybody needs to hire The Bird Marketing or some other SEO company. It just means that you should have some basic understanding of SEO, or your marketing manager should know SEO, or you should hire someone to SEO in-house, or you should hire an SEO agency (like us). As mentioned earlier in this post, moz.com is a great resource to get started. Newspaper Ads, Radio and TV can still get you leads, but unless you know what you’re doing it could cost you a lot of money and leave you broke. Your message goes out to people even if they don’t want to hear it. With SEO your products and services are put in front of the people who are looking for your products and services. So to put it simply, SEO is for anyone with a website! If you have any questions about SEO, what it is, how it works etc., please let us know! Everyone who gets involve with internet marketing should know this. You have showed all of the important data about SEO which even newbie could understand. I’m thankful I came across to your page. I am recommending this to my circles. Kath on What is SEO?